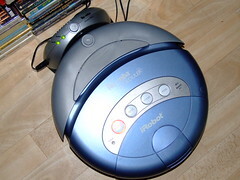 iRobot's devices remind me of various types of trilobite. I want an electronic trilobite! It doesn't even have to do anything useful! I want something with hands and a good book filing and paper sorting program. Not anything likely to be available soon. Well, just go out and buy one!